Visit Graceworx Church for fellowship, music, scripture readings, and Bible study. For more information about the church, please call 407-318-5153. 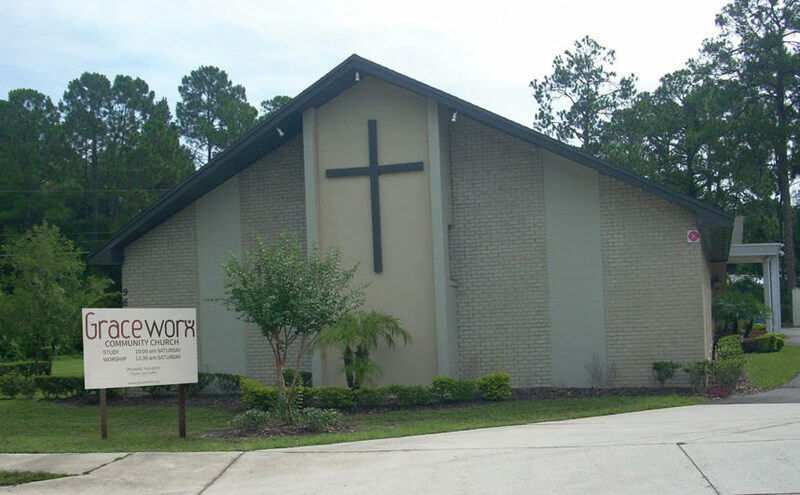 In the Apopka area, there is an array of congregations large and small, long established and fledgling, denominationally affiliated and independent, contemporary and traditional. Granted that we all seek different things when it comes to a church family, such variety means the chances are high that there’s a congregation in the region that will meet your unique set of needs. The challenge is to find it. If you haven’t yet found a spiritual home that’s the right fit for you, we invite you to check out a relative newcomer to the Apopka community. It’s called Graceworx. And it meets for study at 10 a.m. and worship at 11:30 a.m. each Saturday morning at Compass Community Church, 9635 Bear Lake Road, Apopka, FL 32703 (roughly midway between SR 414 and Bunnell Road). Graceworx was founded a little over a year ago by a group of people who believe that a congregation should refresh the spirit, stimulate the mind, provide a strong internal fellowship, and work unflaggingly with other congregations and civic organizations for the betterment of our local community. Jesus said he had come that humans “might have life and have it more abundantly” (John 10:10). That’s what Graceworx is all about. We want everyone to know the Bible’s loving, caring, forgiving, grace-exuding Creator and Redeemer God. And we seek to be a discovery zone and support center for those who seek a more purposeful, more balanced, more fulfilling life. Graceworx isn’t a club for saints. It’s a fellowship for those who understand their own brokenness and acknowledge their own ongoing struggles—but who desire to experience fully what God wants for the human family. Pastor Jim Coffin—who for nearly 40 years has served as a youth pastor, senior pastor, religious-magazine editor, church consultant, or (currently) executive director of the Interfaith Council of Central Florida—presents the sermon most weeks. They invite those seeking a church family—or those just wanting to become acquainted with another congregation in the Apopka community—to stop by for a visit any time. Be blessed by the fellowship, the music, the scripture readings, the prayers, and the Bible study. See how the principles of ancient revelation speak powerfully and pertinently to life today. Again, the services are each Saturday morning. They hope they’ll see you soon.